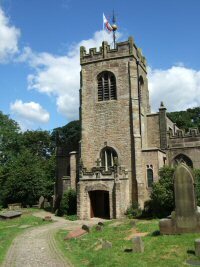 The Church of St. Mary-the-Virgin, Disley, stands among trees, 700 feet above sea level in the foothills of the Pennines. 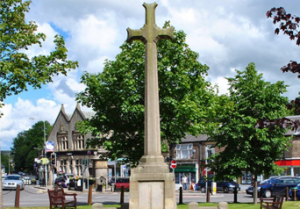 It is a building of great beauty and immense historical interest and as such is greatly valued by its present congregation and the residents of Disley. 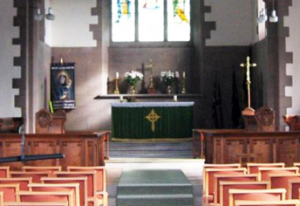 Of even greater importance is the fact that it has been a place of prayer for over 460 years which can be sensed in the peace and tranquillity of its interior and in the life and celebration of its Sunday and weekday services. Its founder, Sir Piers Legh of Lyme and Haydock, born in 1455, had lived through the turbulent years of the Wars of the Roses. For his part in the Wars he had been given the honour of Knight Baronet, a title and rank bestowed only for distinguished service done in the King’s presence on the field of battle. About 1511 Sir Piers gave up this office and entered a Monastery, where he was ordained as a priest. He then retired to the house and park at Lyme, which had been given to his forefathers by Edward III in 1346. At Lyme, Sir Piers seems to have given himself to living simply, and to building a Chantry Chapel in Disley. The building was begun in 1510 before Sir Piers gave up public office, and was completed in 1524. 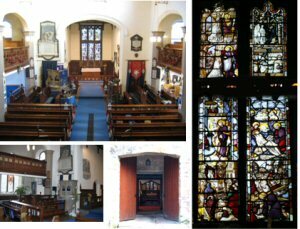 It was consecrated as a parish church on 23rd July 1558 after a petition to the Bishop of Chester by the inhabitants of Disley, then known as Dysley Dene, who previously had to travel 6 miles to Stockport for baptisms, burials and holy communion. The earliest parish register dates back to 1591. It is believed that Sir Piers himself, Knight and Priest, officiated in the Chantry for some years. structure, which shows the early masonry and the original windows. The Church contains some very fine stained glass, including an example of 16th century glass, which came from Steinfeld Abbey in Southern Germany. There are also many monuments to the Legh family in the church, together with the grave of Joseph Watson (b.1648), who lived to be 104 and was Park Keeper at Lyme Park for 64 years. Watson drove 12 brace of stags from Lyme to Windsor as a present for Queen Anne to win a 500 guinea wager for his master. The present organ was built for Disley Church by Samuel Renn of Manchester and installed in 1836, being rebuilt and restored in 1882, 1885 and 1977. There is a peal of six bells, put in in 1837, which is rung every Sunday before morning worship.